Immigrant moet jul kinders Frans leer op skool of is Frans net in gebruik in Toronto en groot stede? Isn't Sasketoon where most of the populace lives in that Province? Is that where you have to go if you can't find something you need locally? We are slowly populating the prairies. Praat julle in die huis afrikaans? Ek en my vrou doen ( sy is van Alberton. Hulle praat mos nie eintlik engels daar nie). My dogter verstaan maar kan nie afrikaans praat nie. My seun verstaan fokkol en raak erg frustreerd as ek en my vrou praat. My seun verstaan fokkol en raak erg frustreerd as ek en my vrou praat. Dan moet hy leer en ophou frustreerd wees!! Hoe meer hy dit hoor hoe meer gaan hy leer. My suster het besluit haar kuiken sal afrikaans praat en omdat my suster aan spraak diaree ly het sy dit baie gehoor en nou praat/skryf/lees die kind vlot afrikaans alhoewel sy in die buiteland woon. Natuurlik moes sy ook pa se spaans leer en nou is sy vlot drietalig op 12 jarige ouderdom. 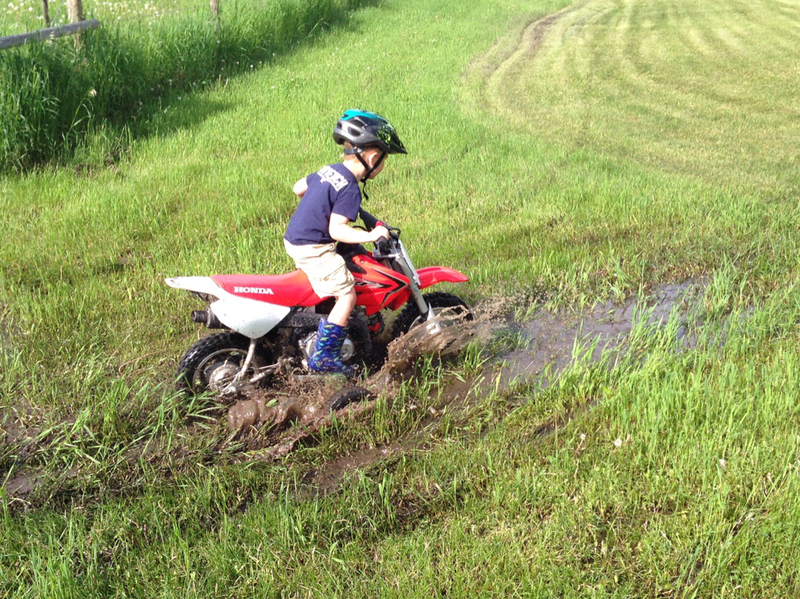 Seeing your youngin on that little bike is adorable and brings back childhood memories. Yuda man for providing such toys for your kids, they'll never forget how much you sacrificed and what you provided for their childhood. Indeed a great tragedy. They are from a small community and the loss is having a great impact on all. It is amazing to see the "Canadian spirit". 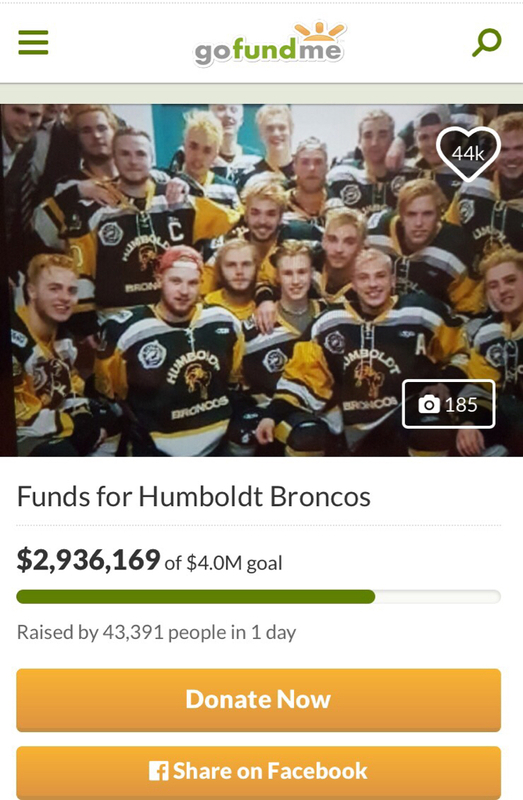 They put up this go fund me page yesterday and already got $2.9 mil (R27.6 mil) in a day. I must say, I was very lucky! I work for a international company and a position opened in Toronto that was my exact job position. So I had a interview, got the job and my company paid and arranged my and my families immigration almost in entirety. So my case is not the norm, I am also here on a working visa and am in the process of applying for my Perm residence visa. There is a forum online SACanada I think. Google that and see on there. Everything anyone need to know and more with real experience of people that did and is busy with moving here. It is tough. But worth it for my kids future. This a question that is staring most of my friends squarely in the face at the moment. The reality of this is hitting them hard when looking at Saffers here with kids abroad. Their kids are still small, but in 5-15 years they will be out of the house and most likely abroad. Do you stay behind and they leave, or do you leave now and be with them? Tough choice man. My condolences for our beloved neighbors to the north. Well you might move to Canada with them now and they they decide to move to Europe or something. Maybe if my kids decide to move then we can move with them if we have not already done so by then. A good friend is leaving for Canada in a week's time, his wife and three daughters will follow when he has set up base. His parents will also go over as soon as the paperwork allows. Also have two cousins in NZ, their parents went over, not long after their daughters left. Where will he be going? What will he be doing?